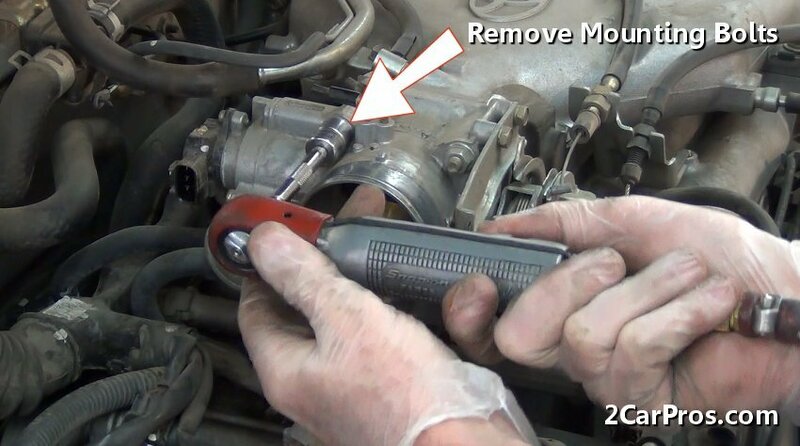 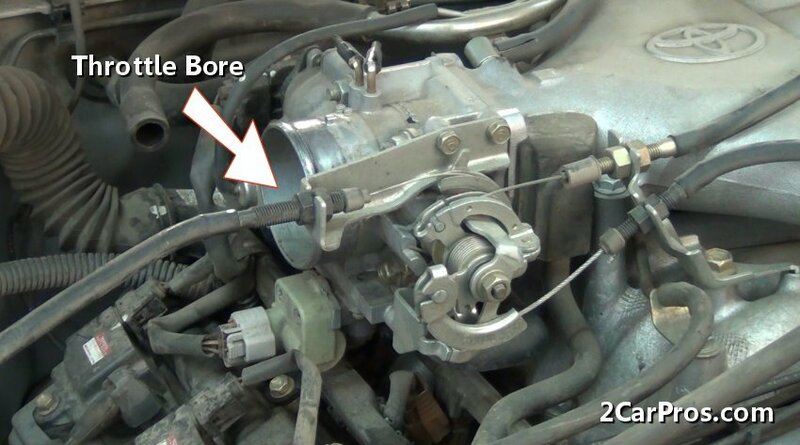 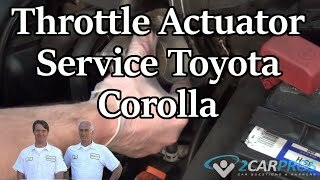 Easy step by step guide on how to service an automotive engine throttle actuator bore and idle air control motor, though appearances may vary, the process is similar for most vehicles. Before beginning, park the vehicle on level ground with the engine cold and the parking brake "ON". 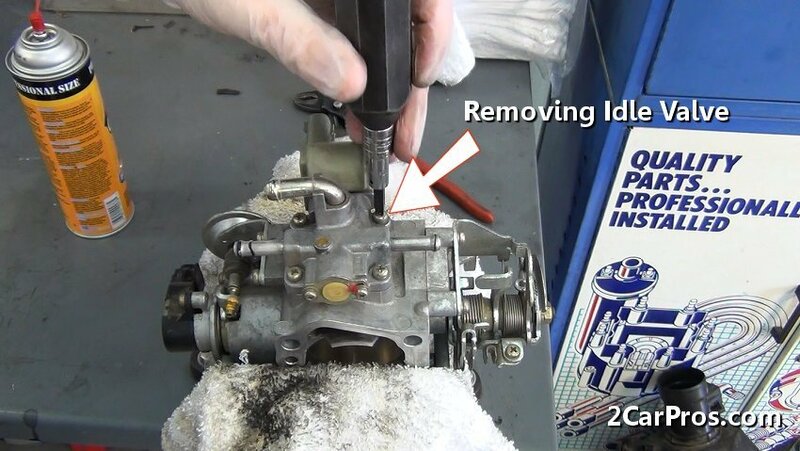 Step 1 - After locating the throttle actuator bore begin by removing the air intake boot. 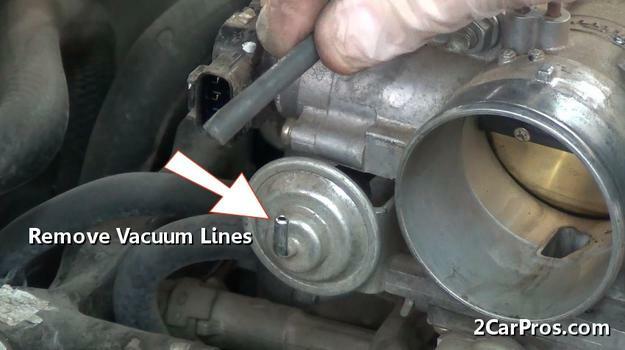 Step 2 - Next, inspect the throttle bore or actuator (electric) and check for vacuum leaks due to failing vacuum lines. 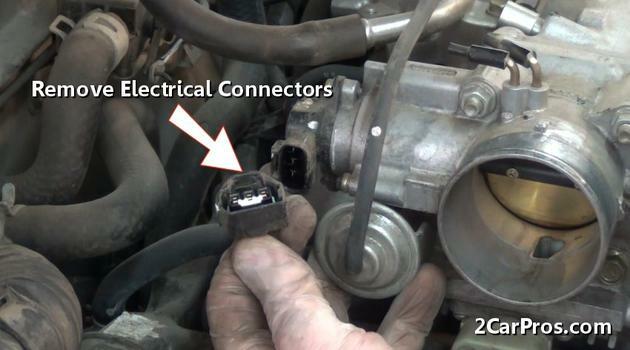 Step 3 - Once the unit has been inspected, locate and remove all electrical connectors. 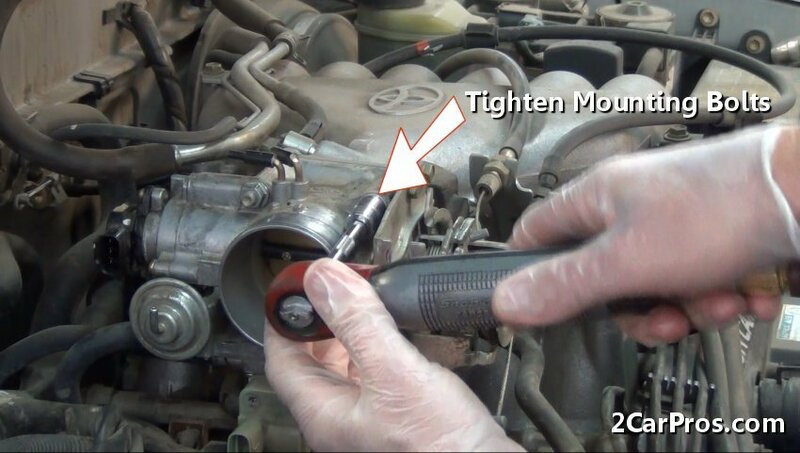 Step 4 - Older vehicle's utilize a throttle cable which must be removed, along with transmission and cruise control cables. Step 5 - Using needle nose pliers loosen and remove vacuum lines. 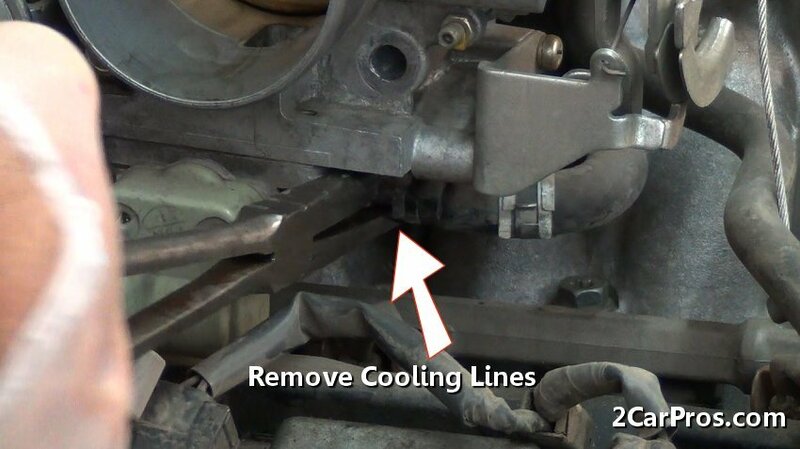 Step 6 - Some vehicles are designed with a coolant line that runs through the actuator, this practice is generally for older vehicles. 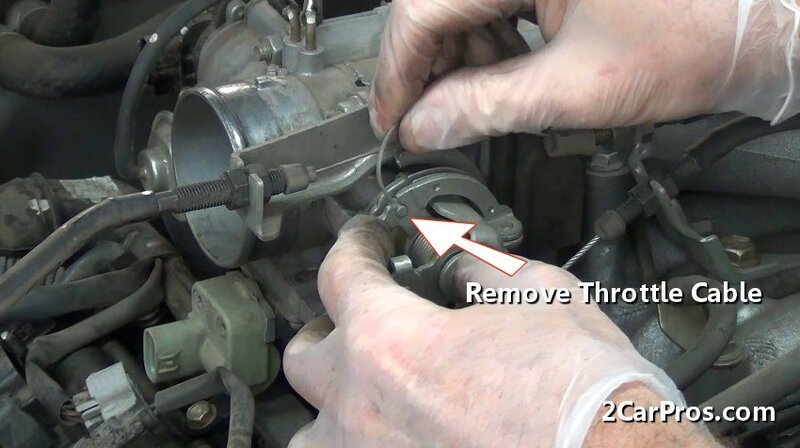 Step 7 - Once vacuum and coolant lines have been removed along with any control cables, locate and remove the throttle actuator mounting bolts, at this point it will become loose. Step 8 - After mounting bolts have been removed, grasp the bore and remove it from the intake manifold. Step 9 - Next, remove the sealing gasket or "O" ring seal and clean or replace. 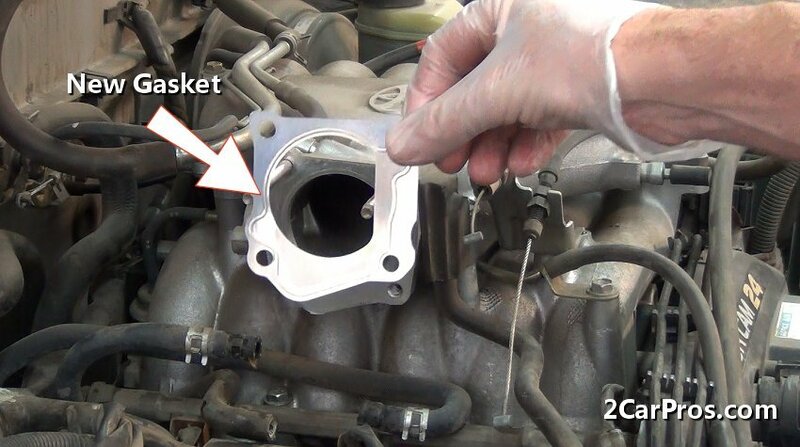 Step 10 - Once the gasket or "O" ring has been removed, use carburetor cleaner and a shop towel to clean the intake inlet. 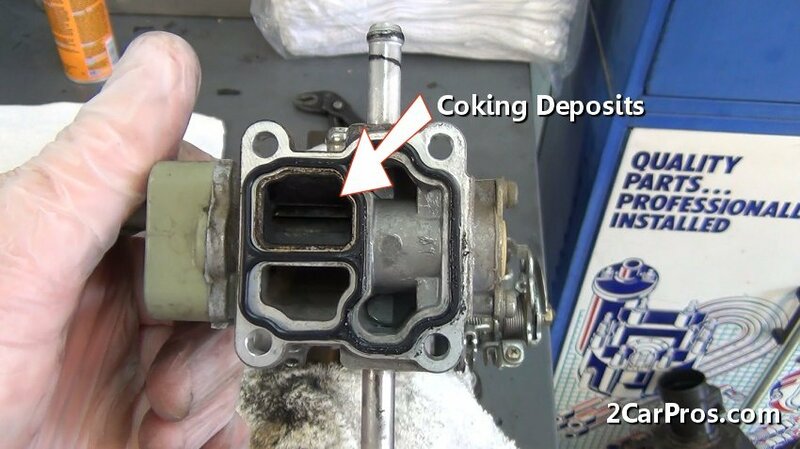 Step 11 - Looking from the rear of the throttle bore coking deposits are observed which is caused by impurities in the air. These deposits can cause the engine to idle radically and in some cases, stalling. 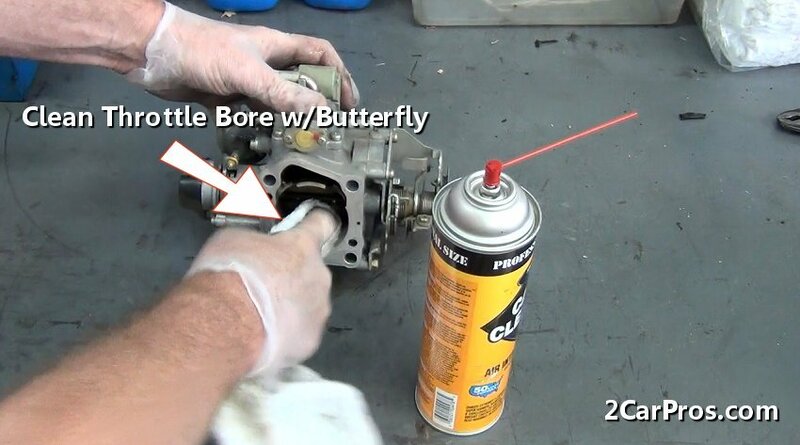 Step 12 - Using a shop towel and carburetor cleaner wipe the bore and butterfly until clean. Step 13 - Once thoroughly cleaned the throttle actuator is ready to be reinstalled. 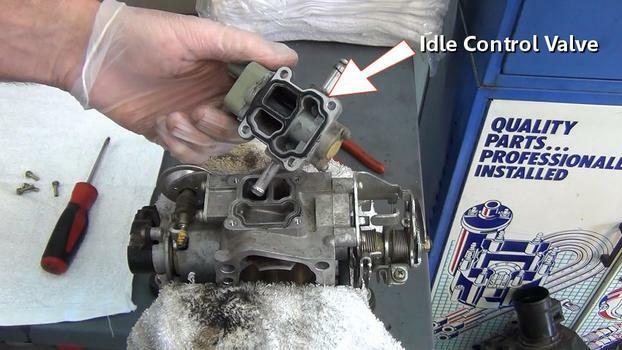 Step 14 - After the throttle bore has been cleaned, remove the mounting screws to the idle air control valve. 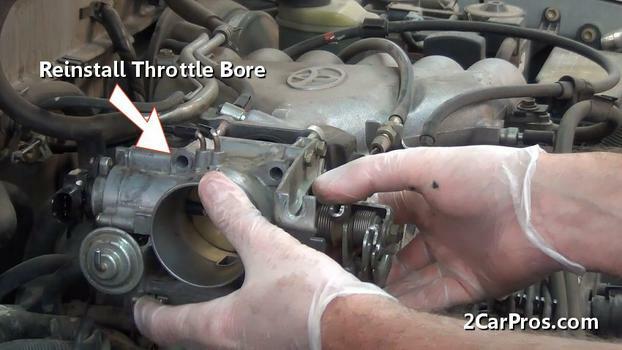 Step 15 - Next, gently remove the valve from the throttle bore. 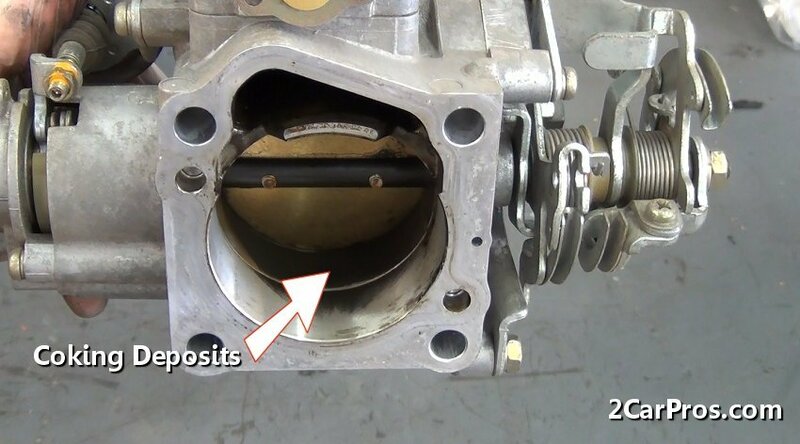 Step 16 - After the valve has been removed, inspect for coking deposits similar to the throttle actuator. 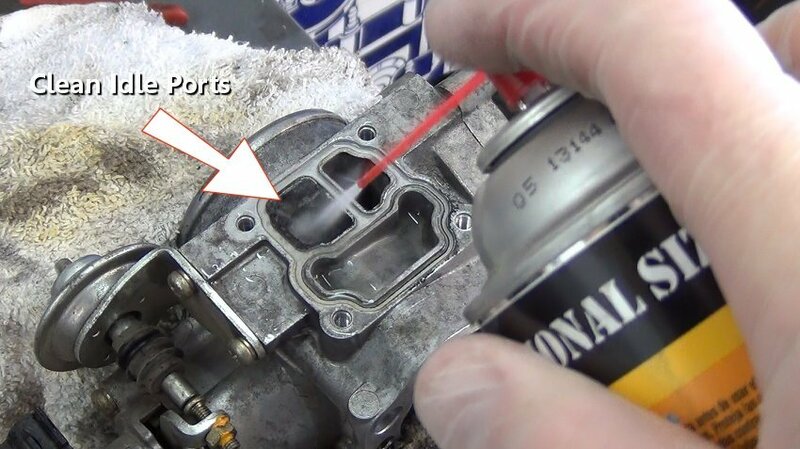 Step 17 - Then, using carburetor cleaner, spray the valve internally using a shop towel to help clean the valve. 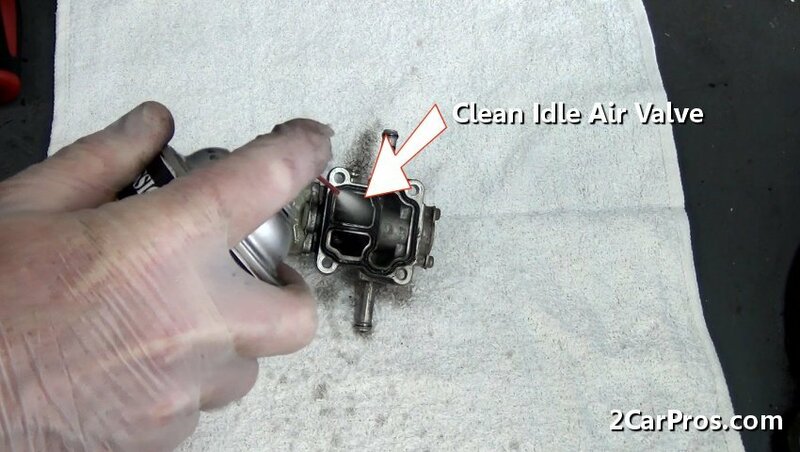 Step 18 - Once the valve is clean, use cleaner to wash out deposits from the idle valve transfer ports. 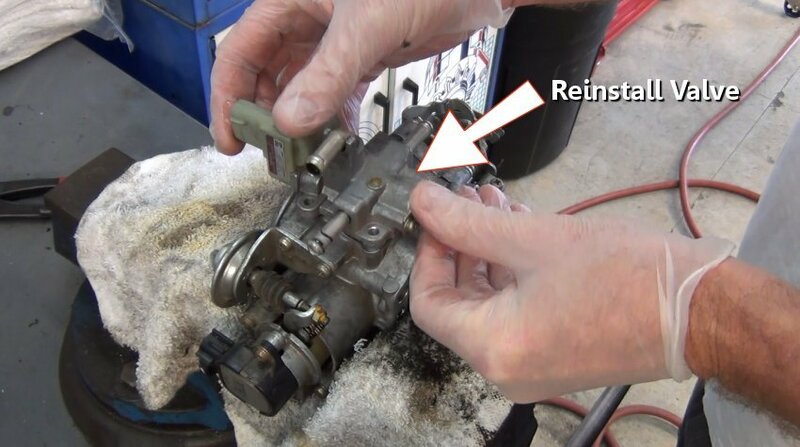 Step 19 - After cleaning the idle air control valve, reinstall the valve onto the throttle bore housing and reinsert the mounting screws and tighten evenly. 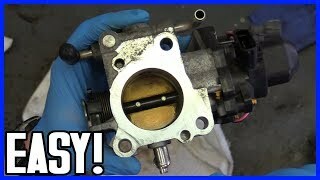 Step 20 - Install throttle body gasket onto the intake manifold inlet. Step 21 - Once the gasket has been installed, gently reinstall the throttle bore actuator onto the intake manifold inlet. 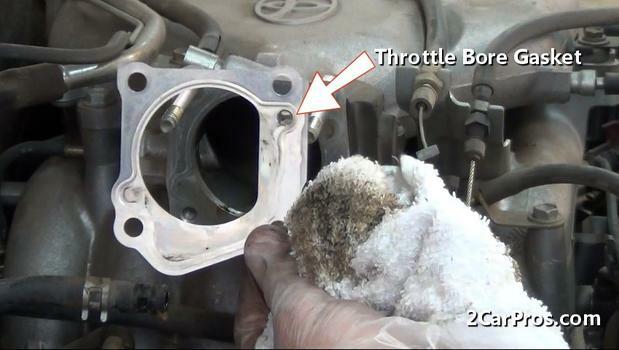 Step 22 - After installing the throttle bore, insert and evenly tighten mounting bolts and nuts. 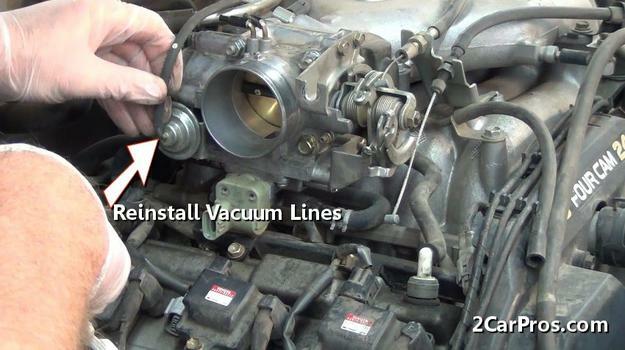 Step 23 - Then, locate and reinstall vacuum, bypass and breather tube lines. Step 24 - Using a pair of needle nose pliers, reinstall the coolant hoses with clamps. 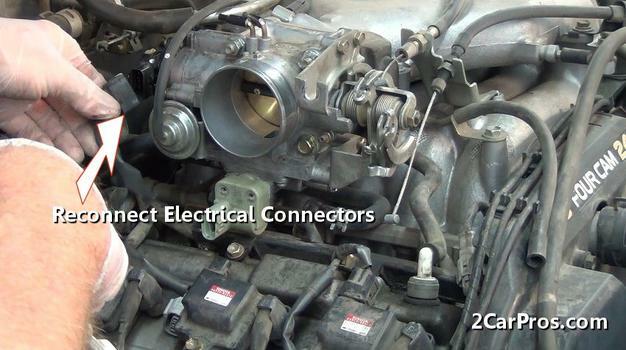 Step 25 - After attaching coolant lines, locate and reconnect throttle bore electrical connectors. 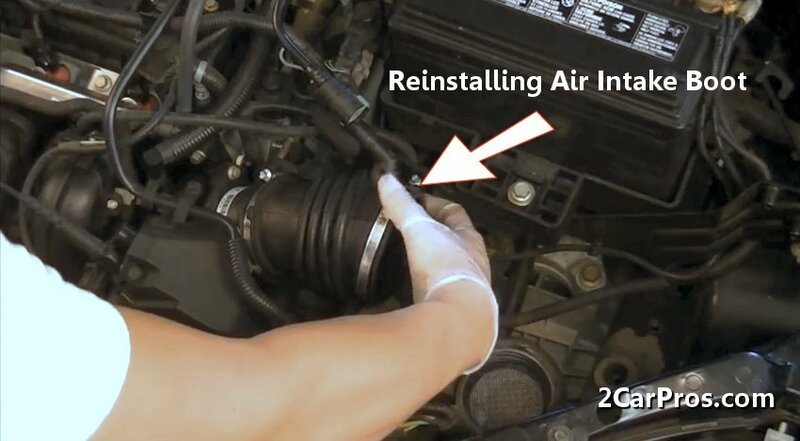 Step 26 - Once electrical connectors have been reinstalled, reconnect throttle cables and reinstall the air intake boot. 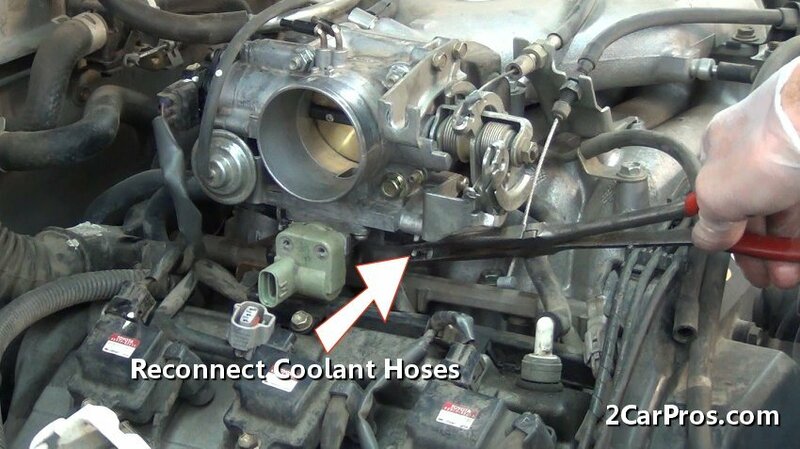 Step 27 - Double check all coolant, electrical and vacuum hoses to ensure proper installation, reinstall the air intake boot. 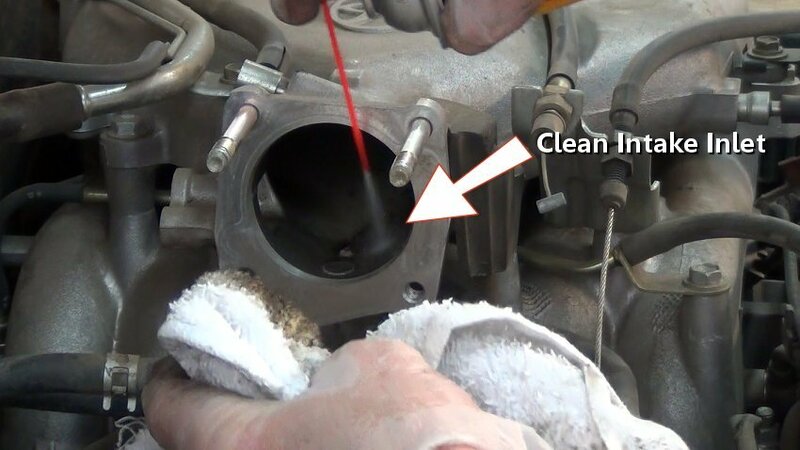 Once the job is complete the engine may take a few seconds to start, as excess cleaner is being processed through the engine. 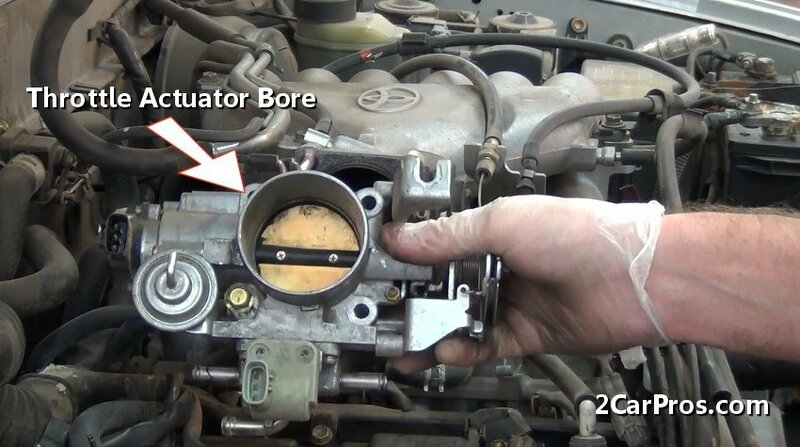 When mass volume of air is processed through the air intake throttle actuator bore it will leave deposits that hurt engine performance. These deposits effect the idle air control motor which can cause stalling. This service should be performed whenever a tune up is performed. Each manufacturer has their own design when it comes to the throttle system of an engine but the principle remains the same. 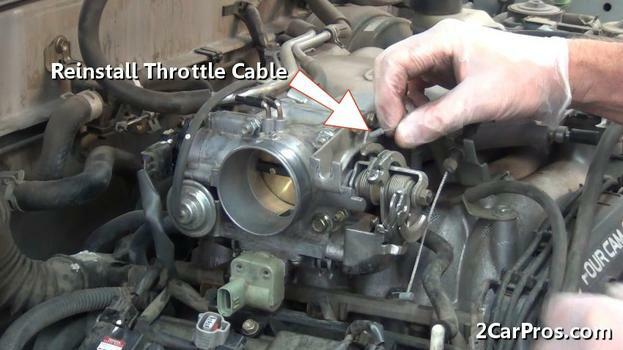 An electronic throttle actuator requires no idle valve or circuitry as the computer will adjust the main butterfly to arrive at the desired engine idle speed. 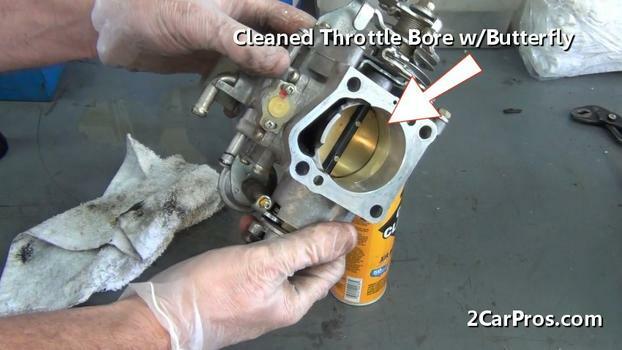 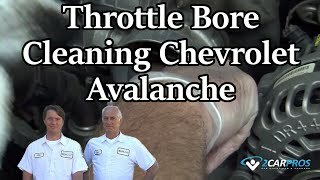 Clean throttle bore and idle air control motor thoroughly using sensor safe carburetor cleaner. 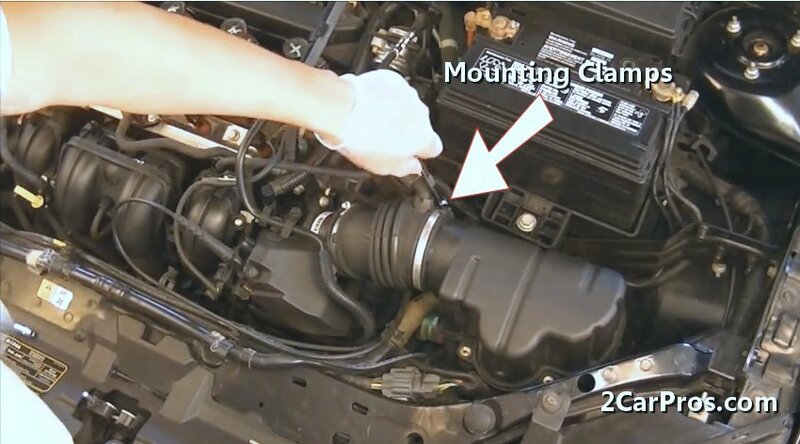 Replace air filter when soiled to avoid additional impurities.